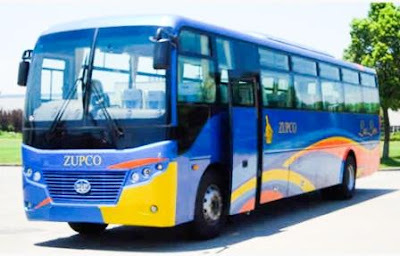 The Zimbabwe United Passenger Company popular known as ZUPCO Bus services is a road transport company incorporated and registered in Zimbabwe with the mandate to provide rural, urban and regional passenger travel services. 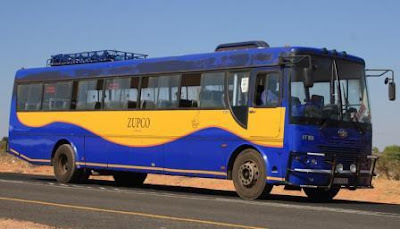 Since independence, ZUPCO has remained the single largest bus services operating the country both in terms of size of fleet of buses and the spread of operations throughout the country. With its Head Office at 109 Belvedere Road in Harare, ZUPCO runs its activities through two main divisions, namely the Northern Region based in Harare and the Southern Region based in Bulawayo. (d) Operating environmentally friendly vehicles. Their current fleet of buses was custom made for ZUPCO by a Chinese vehicle manufacturer, First Automotive Group Corporation. The company which has been in existence since 1956 was previously known as First Automotive Works (FAW), from which we derive the name that is on their blue and gold fleet. Being custom made for Zupco, Their current fleet is well kept and maintained using on site technical back up and support by a dedicated team from FAW who work closely with their engineers to ensure that all their buses are in to notch condition to ferry their valued customers to all destinations inside and outside Zimbabwe. 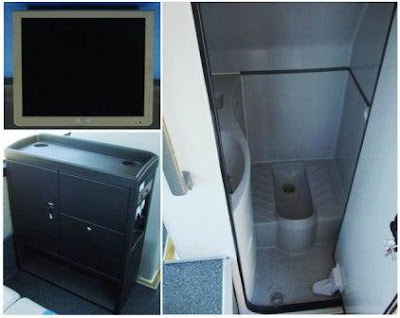 Apart from the television, there is a radio to serenade you all the way to your final destination. No need to wait for a truck stop or food outlet, Lux Line is a one stop shop. Whether you want hot or cold water, Lux Line has your back! ZUPCO has a fleet of over 200 buses in Zimbabwe sourced from a range of local and international suppliers. Since 2010, the company has been in a strategic partnership with Chinese bus manufacturer FAW, enabling it to purchase modern vehicles for use in its operations. ZUPCO has purposefully invested and is constantly looking into ways of providing a safe and reliable service for their previously neglected rural folk. 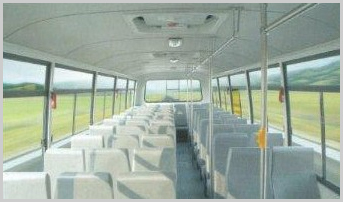 Thus the company provides daily scheduled bus service to many rural areas dotted around the country. In line with being a market driven player in the industry, the company has also sought to alleviate the suffering of the urban consumer who is made to pay hiked fares during peak hours by commuter omnibuses. 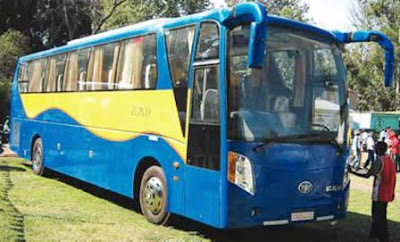 The company has therefore reintroduced the urban bus routes at an affordable fare during the morning and evening peak hours. The company offers affordable, direct, safe and reliable bus services to regional countries such as Zambia and Malawi. Being the single largest provider of road passenger services in Zimbabwe, ZUPCO has a wide network of routes under its operations. One of their key successes, since independence, has been the provision of transport services to rural communities. This has seen previously inaccessible areas now becoming more open and therefore better able to participate in the national economy. Tel: 263 4 751 293/ 6. 9 Hood Road, Southeron, Harare. Tel: 263 9 67291/3/8 or 086 44 053 899.